Bartzokas' team thoroughly deserved their victory against Movistar Estudiantes with a final score of 92-80. The blaugranas played with real intensity throughout the game and didn't let their guard down at any point even though they had a convincing lead. The victory was an important one which kept the team in the upper reaches of the table. 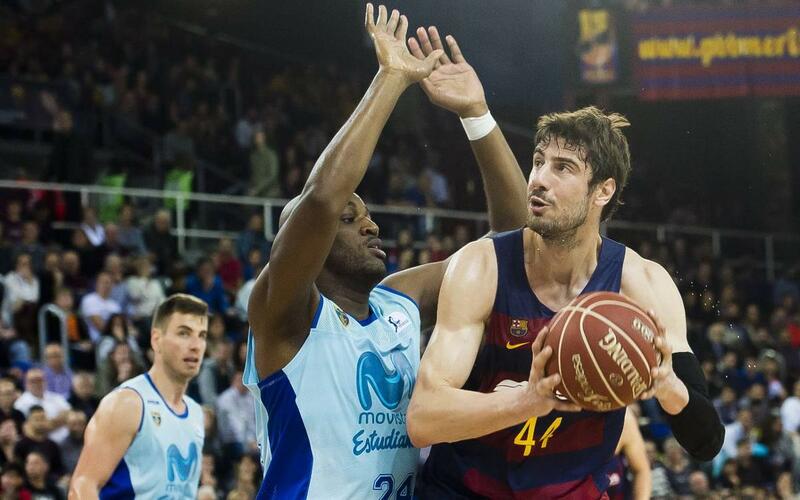 FC Barcelona Lassa needed to move on from their last game against Real Madrid. Bartzokas' team were focused on putting things right and on getting the win. Movistar Estudiantes are not easy opposition and started with positive intent. However, Barça Lassa led by Tomic and with some quick ball managed to forget the negative Clásico memories and establish a lead they never relinquished. The opponents were committed but the Catalans were always one step ahead and controlled the game from start to finish. Tomic and Eriksson's three pointers gave Barça Lassa a 28-22 lead at the end of the first quarter. Dorsey, who came on for Tomic, demonstrated his strength in the defensive rebounds. Offensively, Eriksson and Koponen were crucial in ensuring a lead of up to 17 points after a good start to the second quarter. Even though the lead was substantial, Bartzokas' men remained concentrated on the task and in control of the situation. This focus allowed the Catalan team to reach half time with a clear 19 point lead with the scores at 51-32. The blaugranas didn't let up and Tomic, who returned after the break picked up where he left off. Dorsey continued his strong defensive game and ended up leading the way in rebounds with an impressive ten. By the end of the third quarter the team was still clearly in front with a 69-45 score and this removed pressure from the final quarter. In this final quarter, the theme was continued and Lassa were able to add some gloss to the score. FCB Lassa dominated throughout and came away with a morale-boosting win.